The centre opened at the University of New Brunswick in Fredericton in 2010 with a goal of promoting entrepreneurship among students and beyond the university. It was to place a special emphasis on social entrepreneurship, or the creation of enterprises that solve social or environmental problems as well as make money. 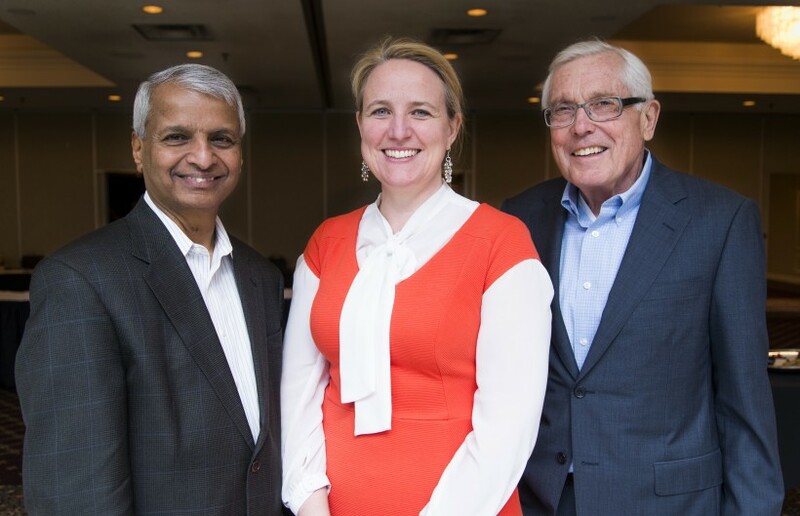 The Pond-Deshpande Centre was launched by Mariner Chairman Gerry Pond, an early investor New Brunswick startups Radian6 and Q1 Labs, and UNB alum Gururaj Deshpande, a successful serial tech entrepreneur. Together they donated $5 million to open the entrepreneurship centre, which has grown into a driving force for social entrepreneurship in the region. And Pond, the head of East Valley Ventures, still thinks that supporting social enterprises is important. "Absolutely," said Pond when asked whether it’s necessary to back impact ventures. "These are the companies of the future. These are the companies that young people want to start and grow." The PDC programs and services include: the Changemaker Funding Program; the Student Ambassador Program; Noulab; and the Be For Change Social Venture Accelerator, known as B4C. One program that will expand this year is Noulab. The initiative, offered in partnership with New Brunswick's Social Policy Research Network, allows for discussion of complex social, environmental, and economic issues. “With new partnerships made in other provinces, this social and public innovation lab is set to expand from New Brunswick to Nova Scotia,” LeBlanc said. Plans are also in the works for the B4C Social Venture Accelerator and the Student Ambassador Program to launch across Atlantic Canada. LeBlanc said the funding for the centre will continue to be provided by federal and provincial governments. The PDC also offers consulting services such as Noulab that generate revenue. The centre also has plans to offer virtual programming so entrepreneurs aren’t required to travel to Fredericton to participate. “B4C will be experimenting with an online curriculum,” said LeBlanc. She would like other programs to be available online in the future, but for now their complex curriculums are a barrier to offering them as virtual courses. “We’re a transforming business model,” she said. The centre’s priorities in the near future will be venture creation, policy change, and access to data. And it will continue to be a champion of social innovation.